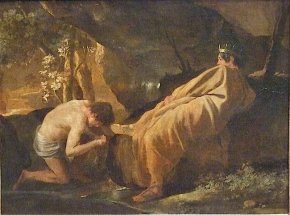 21/2/11 – Theft – Ajaccio, Musée Fesch – The theft which took place a few days ago in the Corsican museum is not only incredible in the way it was carried out but also now quite dramatic in its consequences : four paintings, including Nicolas Poussin’s famous Midas (ill. 1)(see article). The museum attendant wanted to negotiate a rent-free apartment from his employer using the paintings as a bargaining tool ! 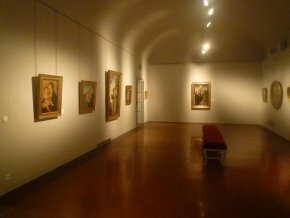 Though it seems hard to believe, he called the local television station, France 3 after the theft to announce that he had stolen the paintings and that he would restitute them in return for an apartment, showing that he had lost his senses. Finally, he was forced to reveal their location, that is, inside his car which was parked on the road leading to the Punta château overlooking the city of Ajaccio. But, in a dramatic turn of events, after the police arrived they found that the vehicle had been broken into and that the museum works had disappeared. 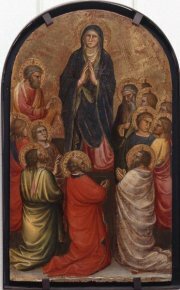 Besides the Nicolas Poussin, the other three stolen paintings are : a Virgin with Child by Giovanni Bellini (ill. 2 and 3), another masterpiece from the Fesch Museum (despite the fact that is partially repainted), a beautiful Pentecost by Mariotto di Nardo (ill. 4), an early 15th-century Florentine painter, and a work by an anonymous Umbrian artist from the early 16th century representing a Virgin with Child in a Glory of Seraphins (ill. 5). This is really a stroke of bad luck for the museum which had recently reopened after a very successful renovation and the excellent work done on its collections. The director, Philippe Costamagna is particularly concerned that the robbers, who obviously had not planned to steal the objects from the museum originally, may be tempted to destroy them. 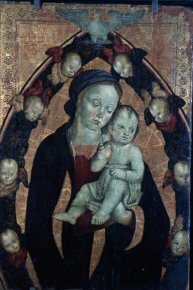 The thieves should consider that if they return the paintings as quickly as possible, in good condition, the legal consequences for taking something from a car will be infinitely more clement than if, for some unfortunate reason, they decide to dispose permanently of these national treasures.